Libby Donald was born and raised in Australia where she began her musical training at a young age. She holds a Diploma of Music Performance from the Canberra Institute of Technology and a Degree in Music Performance (Voice) from The Australian National University. On completing her degree she moved to Vancouver Canada. She has a passion for teaching music for young people. She believes in a well-rounded music education including technique, theory, ear training, sight reading and well balanced repertoire. This is a philosophy she applies to both the Children’s Ensemble and her private voice students. Additionally she spent that last year learning and working in the Colourstrings Kindergarten Movement and Music program. Libby is very excited to be completing the first phase of her training with Colourstrings International this year and adding Colourstrings classes as a teacher to her schedule. She wishes a program like Colourstrings was available when she was a child. The incremental and progressive nature of the curriculum creatively helps young children build the musical foundations that every musician needs. She accepts students of all ages, hoping to help each find a love and appreciation for music and their own voice. Students are encouraged to perform locally in concerts, festivals and any other opportunities. She has studied voice with Bel Canto teacher David Reedy, studied acting with Bobby Farquhar at the National Acting School and at Vancouver Academy of Dramatic Art. Last year she was a performer in the Amalfi Coast Music Festival in Maiori Italy. 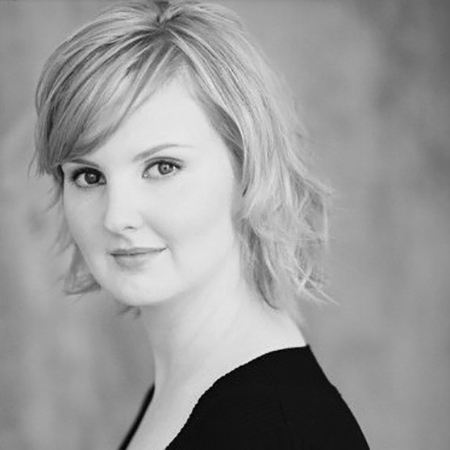 She is actively involved in Opera, musical theatre and as a wedding performer.